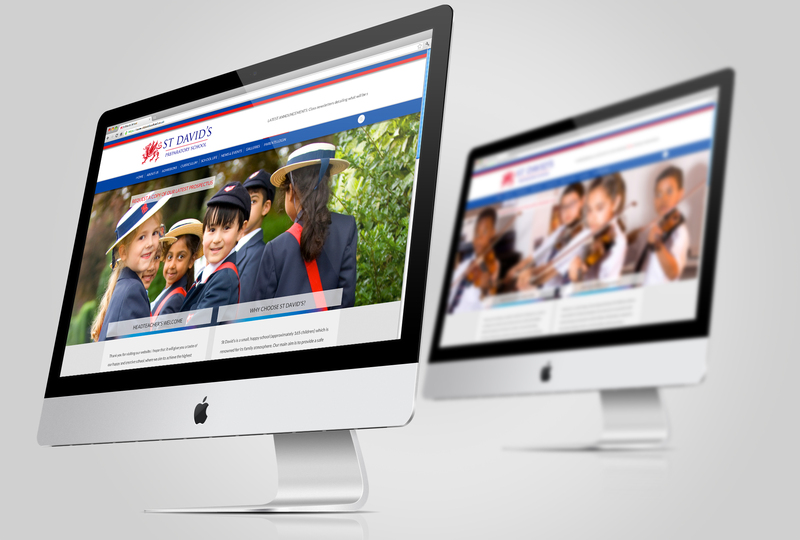 Independent School Website, Branding and School Brochure Design Project. 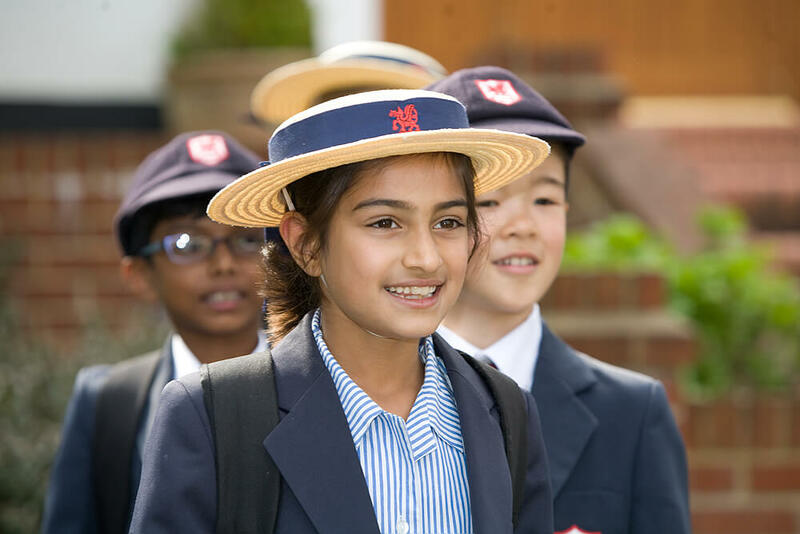 A revamp of the old brand was applied to all communication material to reflect the prestige and heritage of this London school and it’s dedication to delivering the highest standards of teaching. Our responsibilities included: the design, build, hosting and maintenance of the client’s new website; design and print of a new prospectus, including locational photography and implementation of the new identity upon signage, including production. 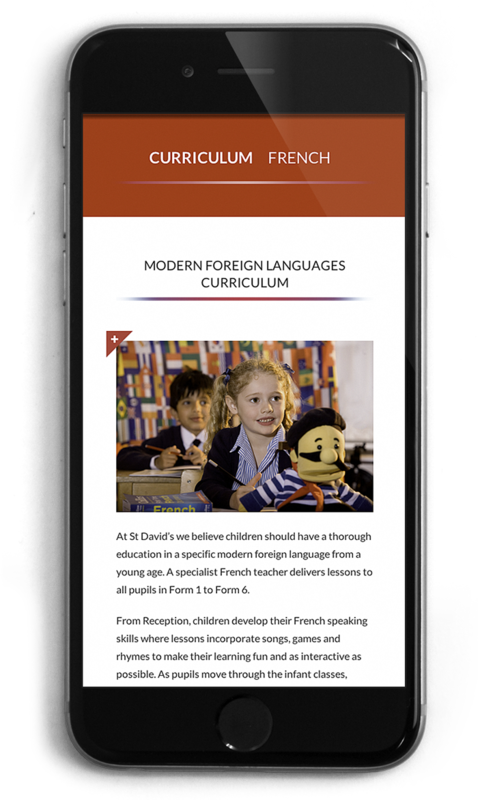 A revamp and modernisation of the old brand were applied to all communication material to reflect the prestige and heritage of this London school and it’s dedication to delivering the highest standards of teaching. Our responsibilities included: rebranding the school’s visual identity, the design, build, hosting and maintenance of the client’s new website; design and print of a new prospectus, including locational photography and implementation of the branding upon signage. Responsive websites essentially means developing three different websites within a single site build, that seamlessly work for 1) desktop and laptop computers, 2) tablets such as iPads and 3) Smart Phones, without any compromise on readability. All our sites are meticulously tested to ensure perfect responsiveness. This client case history demonstrates such capability. The brochure uses powerful photography with carefully crafted words to tell the story of St Davids and give an insight into life at the school, it’s ethos and approach to teaching and developing pupils abilities and their character. The publication enhances the school’s essential message through clean, classic design, with careful consideration being given to the lighting used in the photography and typographical styling. Print finishes and production quality also play an important role to reflect the school’s values.